A saint was going to a village with his disciples. His disciples said, “It’s getting late and it will be dark by the time we reach the village. Let us stay here for the night.” The saint said, “No, we will go.” The disciples could not oppose him and they set off for that village. It was indeed nighttime when they reached there. In that village, majority of the people were those belonging to a different sect. They were quite unwelcoming and did not provide any food or accommodation to them. All the disciples got angry as they had not wished to come there in the first place. The saint said, “Don’t jump to conclusions.” Whatever was happening, if only the disciples had known the mantra, they would have said, ‘This is that what we need.’ But they couldn’t say that. What do we understand from this story? A few moments back it appeared that whatever was happening was wrong. They felt we certainly don’t need this, we did not need to be thrown out of the village. But from the scene that came next, it was evident as to: What was the reality? What were we being prepared for? What kind of experience was to be got? What was the next scene on account of which this scene was created? The one (Guru) who sees from the helicopter view (higher level of consciousness) knows this. Surrender Completely to your True Guru. Seeker: Why does a truth-seeker need a guru for self-transformation or for attaining the Absolute, the Self? Sirshree: To attain the Self, you have to first understand the real self (who am I? ), the purpose of life (why am I? ), and my state/position in the journey of life (where am I?). You have to undergo the process of self-transformation and have to understand that when it comes to complete self-transformation*, you have to transcend the various levels of happiness to achieve the supreme state**. You have to open up and blossom. To do that, there are levels of questions. You have to single-mindedly convert every incident of your life to turn inward and shatter the frame with which you see the world. You have to understand various steps and various states of the Self to attain the Self. Pray for a true Guru. It is the easiest way to total transformation. Self-transformation is the transformation of the Self. It does not mean transformation by an individual all alone by himself. Only someone at a higher state can show you the path. Only someone who has walked the steps can guide you. And the journey is such that though there are steps and states, there is not really “somewhere” to go. It is a journey that begins at the destination and ends at the destination. Hence the importance of a guide on this journey cannot be overemphasized. Self-transformation is a journey where a GURU is very much required. Not any guide, but a guide who has walked the path and is very much alive giving you feedback and guiding your transformation process. Seeker: How to find the true Guru? Sirshree: Pray for a true Guru. It is the easiest way to total transformation. Pray from the bottom of your heart for a bright spiritual guide… a true guru. There is immense strength and power in prayer. When you have found a bright spiritual guide, then have unconditional and unbroken faith in Him and listen wholeheartedly to what He says. * Read ‘Self Encounter: Complete Aim of Life – Self Development to Self Realisation’ written by Sirshree to know more about the 12 steps and 12 states that are progressively experienced in spiritual transformation. Participation during entire duration of the retreat is required and recommended for experiential results. No charge, donations are welcome. Seeker: What is the meaning of listening without judgement? Sirshree: Whenever we listen to anything – we listen with preconceived notions. If what we are listening to, tallies with what we already know or believe – only then we listen ahead. And if it doesn’t tally, then we stop listening. Judgement means this decision making of what is good and what is better, what is bad and what is worse, and so on. Seeker: Is it possible to attain the Truth by mere listening? Sirshree: Yes. This was what has always happened. In India, Gurus have always first told the Truth as it is. The Upanishads are the proof of it. Seeker: Why do you call the spiritual sessions (satsang) understanding sessions (samajhsang)? Sirshree: Because these spiritual sessions are for attaining the Final Truth (Antim Satsang). In these the Seeker has to make good use of his intelligence and common sense. Seeker: What is Antim Satsang (attaining the Final Truth)? Sirshree: Antim Satsang means company with Truth. It is the place where one can experience ‘who are you’. Antim Satsang means the discourses where the final truth is imparted. Until now, we are aware only of the superficial aspects of the Truth. In the final truth discourses, you will have a deeper insight about The Truth… it is an essence which is bright … it is your existence. For example, the essence of sugar is in its sweetness, the essence of water in its wetness. Similarly, our essence is ‘Self.’ Thus Antim Satsang signifies discourses in the presence of a Guru where you realize and stabilize in Truth. 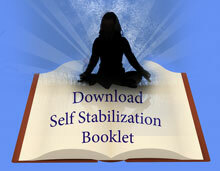 Self Stabilization – here and now! Whatever work is going on upon earth is all impersonal work! No work is personal. It is just like a machine that has many parts. All the parts work for the same machine. No part works individually. In this world too, all the people present are a part of that ‘Creator’. They are all here to do the Creator’s work, i.e. impersonal work. When God introduced a contrast mind inside man, all his work become personal. Due to this mind, the feeling of ‘I’ (ego) was born in man and all work took on a personal outlook. All this has happened due to this very mind. Whatever work is going on upon earth is all impersonal work! But when man attains understanding, he realizes that every work in the world is impersonal. Now, naturally a question arises, then why was the mind created? This is because even the mind is a part of that grand impersonal scheme. The mind has to come. It is due to the mind alone that man attains true knowledge and realizes the Truth. If there is no mind in man, then all the work that is going on upon earth will not take place. It is due to mind that man can understand the difference between the Truth and the untruth. The mind too is involved in such a game. It has assumed a separate existence for itself and hence is under some wrong impressions. These wrong impressions get fortified with time, ignorance and upbringing. Whatever is happening all around is only strengthening its assumptions. If you look at the manner in which every individual speaks, you will realize that every individual is leading a personal life, thinking himself to be the doer. In this manner every person is living with a burden on himself. I am the doer – with this feeling of doership, every work of the person begins to become personal. Man has forgotten that he has come to earth as a non-doer: for an impersonal cause. But once he realizes this, his mind will immerse itself in selfless service. Paths to the truth can primarily be divided into just two, one is the path of surrender and the other is the path of action. One is the path of surrender. The other is the path of action. On the path of surrender, one surrenders to the true guru and gains understanding of the true self, how everything in this world is going on, and how everything is happening of its own accord. He then loses his ego. And the moment the ego goes, truth manifests; call it by whichever name – God, Self, Witness, Nature, Allah, Impersonal I, etc. The path of action consists of various activities such as karma, meditation, self-inquiry. Being aware of your actions or deeds and consciously improving them is the path of karma. Meditation or the path of dhyana is where exercises are undertaken for consciousness to return unto itself. Questioning who you really are takes you on the path of self-inquiry. The first path is the way of the kitten. Look how a kitten does not have to cling to the cat. The cat picks it up and takes it wherever it has to go. The second path is the way of the monkey. Look at how a baby monkey clings to the mother monkey. It is an effort always. What you have to understand is that you do not have to decide which path is best for you. Whatever your mind likes the best may not be the best path for you. It is like asking a thief how he would like to be captured. The mind has to go. Let the decision happen automatically. How is everything in this world functioning? How everything in this world happens automatically? How are all activities taking place? Can the mind know God? Seeker: Can the mind know God? How to get rid of the contrast mind? Sirshree: God is beyond the mind. The mind can never know God. God reveals only when the mind becomes silent. But the mind can never accept that there can be anything that it does not know. People often feel shy of admitting ‘I don’t know.’ If we do not know something, we must admit it. Instead, people give absurd answers because they feel embarrassed to accept that they don’t know. For example, a person fails to attain success despite working very hard for it. He seeks a reason for his failure. However, the answer he receives from one individual is, “It is because of your fate, that you do not succeed.” Someone else tells him, “You must have committed certain wrong deeds in your previous birth. Hence success eludes you in this birth.” Thus, instead of saying “I don’t know”, readymade answers are given related to luck, destiny or previous births. Why should one be embarrassed to say, “I don’t know?” Instead, people give wrong answers. For instance, when a child asks a question to his father and his father does not know the answer, the father should say, “I too do not know the answer to this question. So, come on son, let us look for the answer together.” A person asked his friend, “Why do we find dewdrops on the surface of leaves in the morning?” His friend replied, “The earth perspires a lot as it has to rotate the whole day… this sweat is seen on the leaves.” Here too, instead of saying “I don’t know”, some ridiculous answer is given. In this way, readymade answers are handed out in the form of destiny, heaven, the result of deeds (karma) from past births, etc. If this birth were the result of deeds in past lives, then what was the cause of the first birth? Due to which deeds would the first birth have taken place? Man is afraid to admit that he does not know and continues to dish out speculative answers. It is due to such answers that various imaginary images and concepts of God have formed. The mind can imagine about God, but cannot experience God. The spectacles cannot see the eyes. The mind is the spectacles of God. Hence the mind can never see God. When the mind becomes silent (no-mind) through contemplation and understanding, it is then that God is revealed. Seeker: Does the falling silent of the mind imply that we have returned into ourselves? Even if the thoughtless state is attained, it is only for a few moments. Sirshree: It is true that the mind’s silence means being in the Self Experience. The mind being within, means to become silent, in moun. There is a saying: ‘If your mind is within, then you are Mahavir’ (‘Mahavir’ here implies the one who possesses supreme courage and has thereby mastered the body-mind). The mind has become quiet means that it has surrendered unto the Experience (Self, God). When the mind (ego) realises that it only needs to bow down, then it will surrender due to love and devotion. It is then that the real truth will manifest, bliss will manifest. If you are in this state even for a short while, understand that this is the right state. Now your tied feet are freed, your ears have opened and your eyes are opening. This is the state of Supreme Silence (moun). It is in the state of supreme silence that thoughts arise and dissolve into. There is no such thing as bringing in a thoughtless state. You will understand through practice that the state of thoughtlessness is already there; it has always been there, right from the beginning. It is in this state that things (imaginations) rise and fall. Hence do not fall into believing that thoughts should not appear. Thoughts will appear at any time, they will come in order to carry out some action through your body. But you are always only witnessing these thoughts. You will remain an onlooker or Witness to your thoughts. You must have the conviction that you are already in a thoughtless state, a state of silence, whether you are still or moving about. * To know about how to silence the mind (no-mind), you can read the book ‘The Unshaken Mind’.